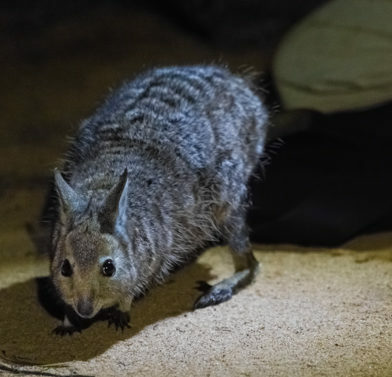 The Carpentarian Pseudantechinus is a small marsupial carnivore which hunts for insects and small animals among rugged rocky country at night. 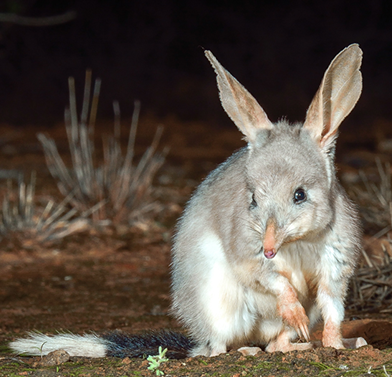 The species is only found at a handful of sites in the Gulf of Carpentaria and north-western Queensland, and most of the recent mainland records are from AWC’s Pungalina-Seven Emu Wildlife Sanctuary. Pungalina-Seven Emu is the only mainland protected area in which the species occurs. AWC carries out prescribed burning to reduce the occurrence of late dry season fires which damage the structure of ground cover vegetation. AWC ecologists conduct targeted monitoring of this species at a number of sites on Pungalina–Seven Emu. Our land management aims to limit the impact of feral cats by maintaining healthy ground cover and a stable dingo population. 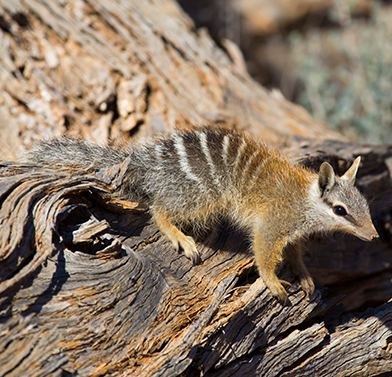 The rocky country inhabited by the Carpentarian Pseudantechinus affords it some protection from cats and shelter from wildfire, which pose the greatest threats to the species. The Carpentarian Pseudantechinus weighs just 15 -25 grams, and grows to 70 – 90 mm long, with a distinctive reddish tail 60 -75 mm long. It has a long, pointed nose, buff-brown fur above with paler eye-rings, large squarish ears, rufous patches behind the ears and paler fur on the underside. In good conditions, this species puts on condition bystoring fat in its tail – which can come become quite carrot-shaped. In 2009, AWC scientists captured a Carpentarian Pseudantechinus at Pungalina-Seven Emu. It was only the 20th time the species had ever been recorded. Originally described in 1905, it was not recorded again on the mainland until 1997. 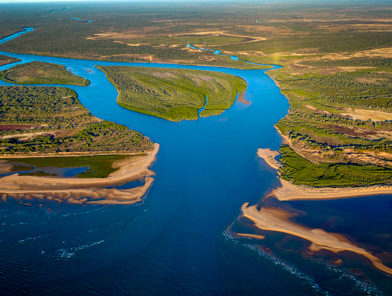 It is now known only from several locations on Pungalina-Seven Emu, a small number of sites near Mt Isa and several islands in the Gulf of Carpentaria. The Carpentarian Pseudantechinus inhabits in rocky outcrops and scree slopes supporting eucalypt woodland. It shelters in rock crevices and comes out to feed at night, moving with great agility. It feeds on a variety of invertebrates and small vertebrates. Females carry their young in a pouch.